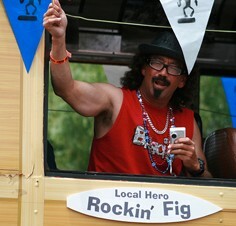 Rick "Rockin' Fig" Fignetti "2010 Local Hero"
The name itself fits the man's personality Rick “Rockin' Fig Fignetti and he is synonymous with Huntington Beach. 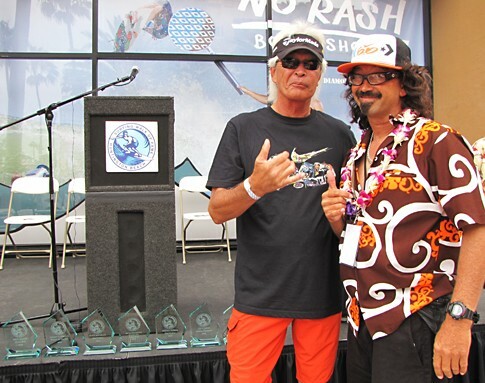 A ten-time West Coast Surfing Champion, and member of the first NSSA National Team in 1978, “Rockin Fig” has been and still is the voice of surf announcing for local and legendary surf events including the US Pro Tour, OP Pro, the US Open of Surfing for 16 years and the NSSA Nationals for the past 20 years receiving a lifetime NSSA membership award for his contribution. 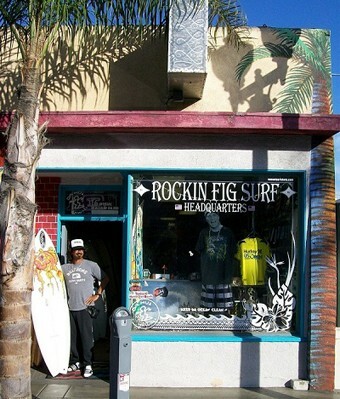 Fig has been the KROQ FM “Surfologist” for the last 26 years doing morning surf reports and for 20 years owned a surf shop on Main Street in HB, a local institution called Rockin' Fig Surf and in the “Old School” tradition there are lot's of surfboards on the floor which he'll talk to you about all day long. 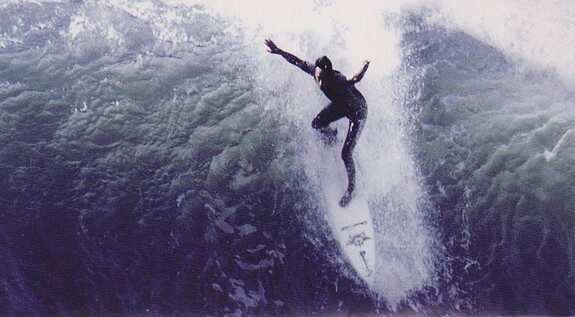 Fig is credited over 20 years of surf journalism with his columns in the HB Independent “Wet n Wild” and L.A. Times “O.C. Live” and you can catch him most everyday out riding waves at the HB Pier. 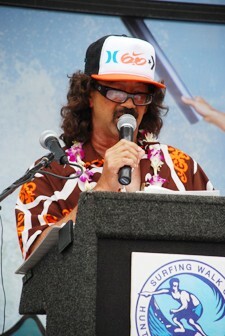 PHOTO: Huntington Beach 4th of July Parade International Surfing Museum. Photo courtesy Natalie Simmon.